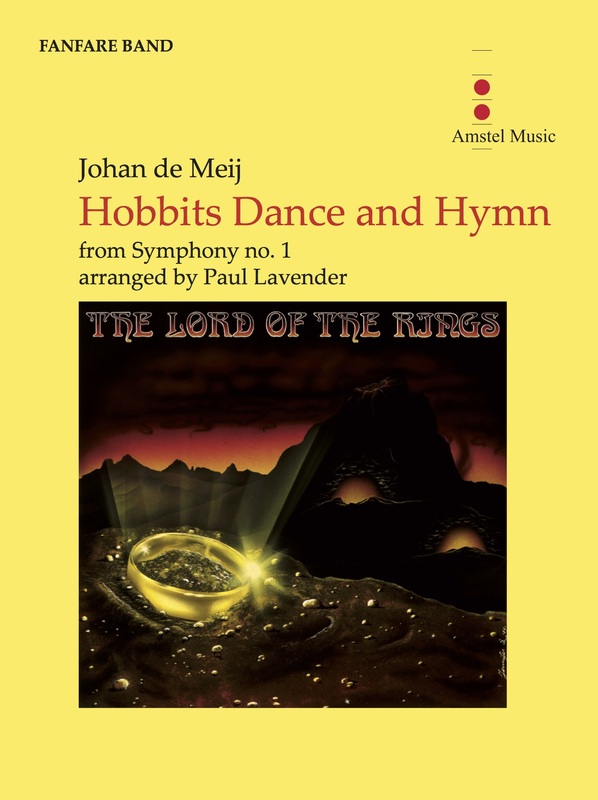 Johan de Meij’s first symphony The Lord of the Rings is based on the trilogy of that name by J.R.R. Tolkien. This book has fascinated many millions of readers since its publication in 1955. The symphony consists of five separate movements, each illustrating a personage or an important episode from the book. In this special edition for fanfare band, Paul Lavender has masterfully condensed and arranged the symphony into a practical concert version, written at a level and instrumentation to work within the reach of most bands. As vice president of Instrumental Publications for Hal Leonard Corporation, Paul Lavender directs the product development and marketing of Hal Leonard’s extensive catalog of performance publications for orchestra, concert band, marching band, and jazz ensemble, as well as instrument books, collections, and methods. Every year, he is responsible for the production of 600 new publications. Paul Lavender has contributed more than 1000 arrangements and compositions to the educational and concert repertoire. He continues to be one of the most widely played writers today.